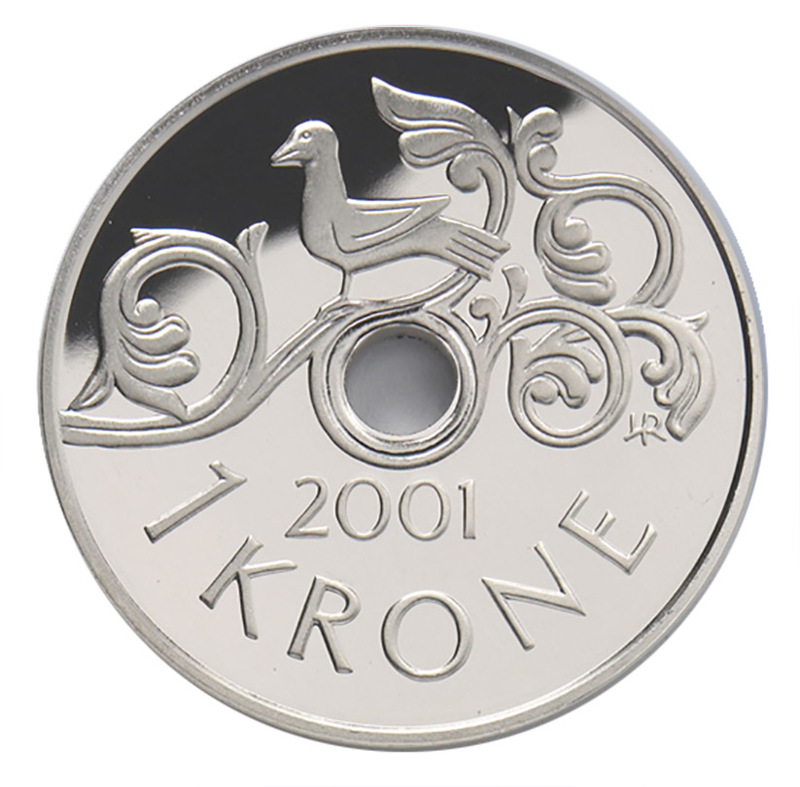 The 1-krone coin was first issued on 15 September 1997. 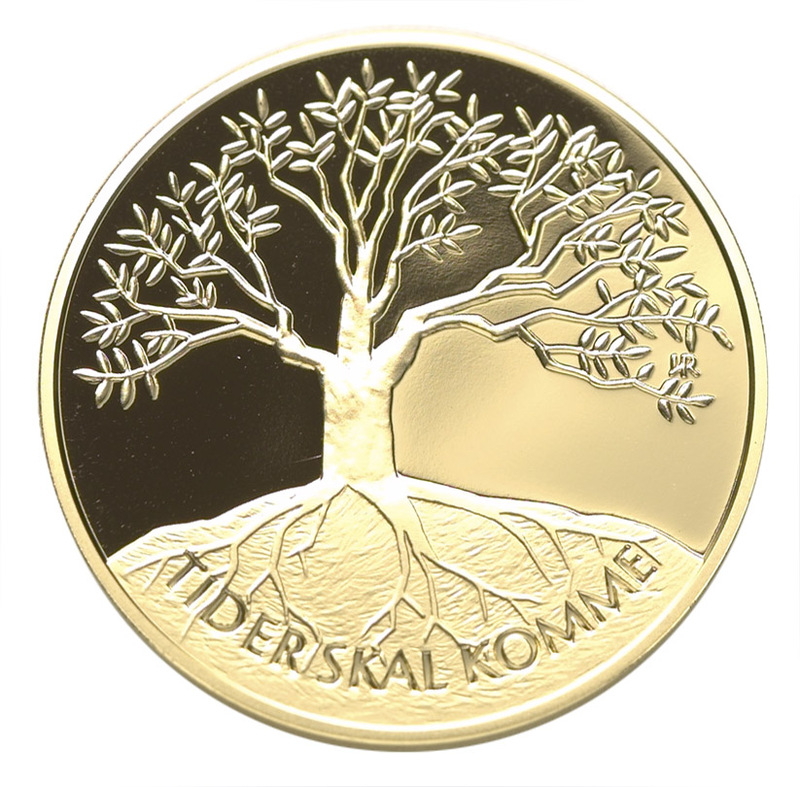 Reverse (tails side): A bird sitting on a branch. 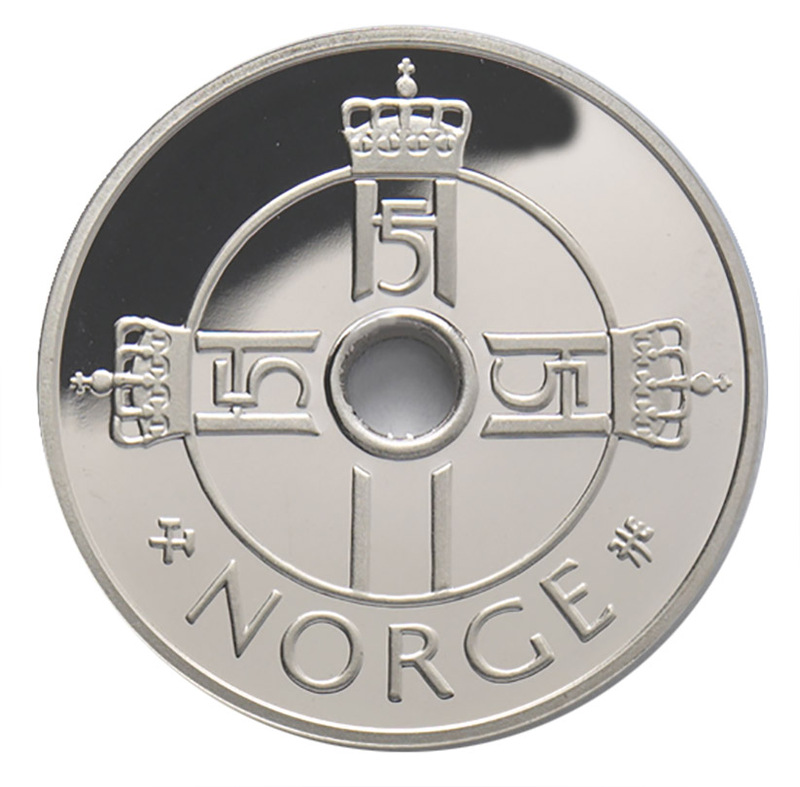 The motif is based on the carving on the portal of Hylestad Stave Church, Setesdal. 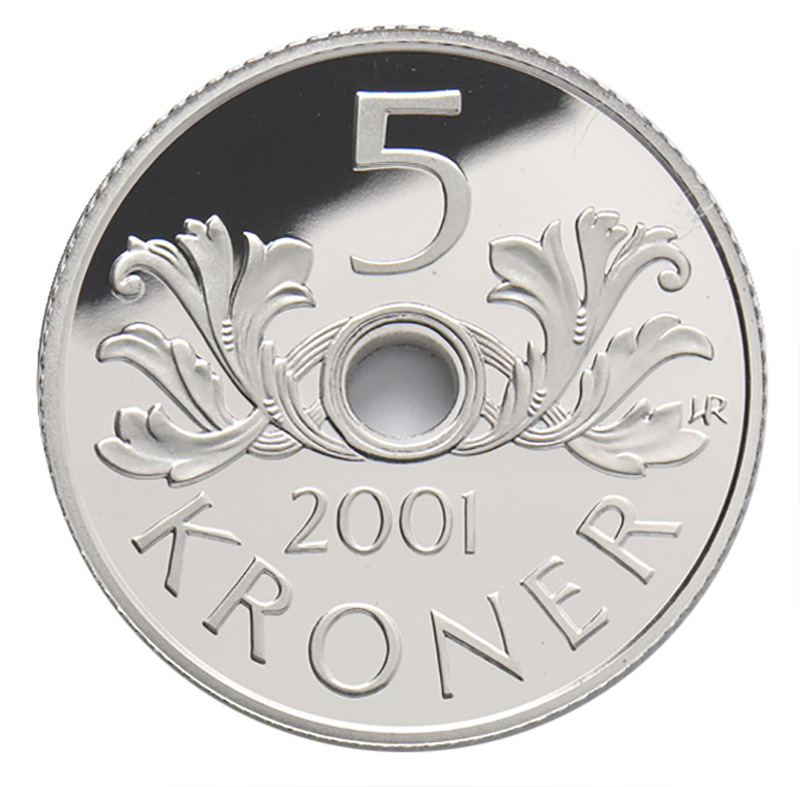 ‍The 5-krone coin was first issued on 15 September 1998. 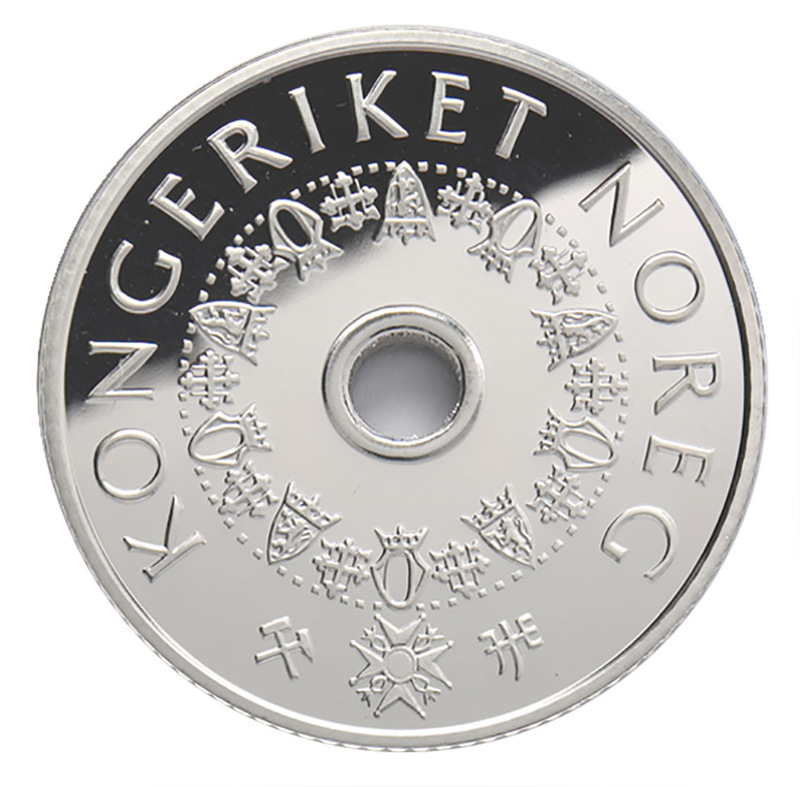 Reverse (tails side): Ornamentation inspired by the leaves of the acanthus plant, in the style of the Norwegian wood carver Ole Moene (1839-1908), with intertwined tendrils between the leaves. 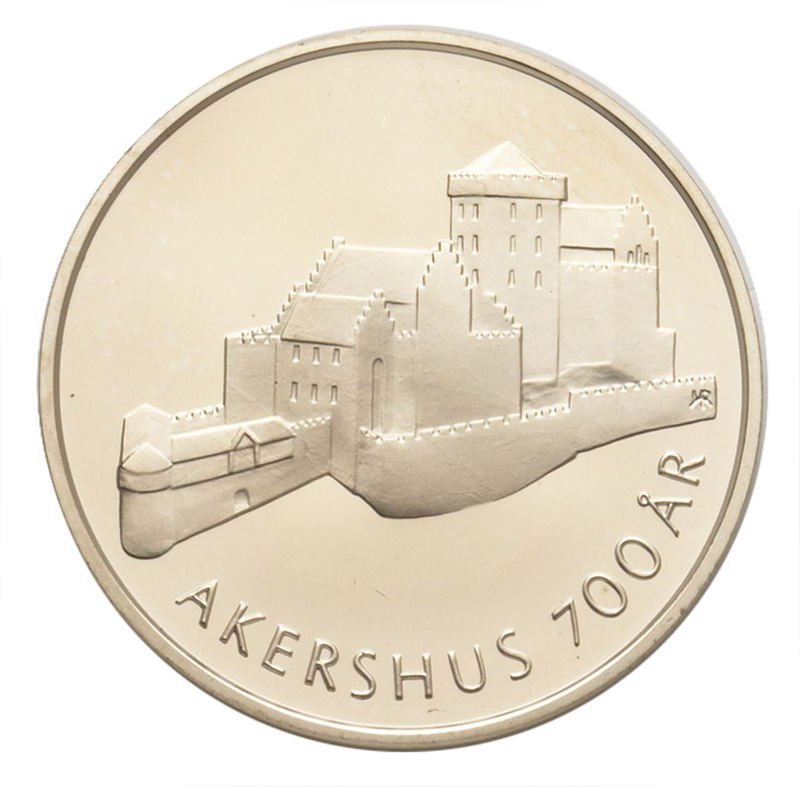 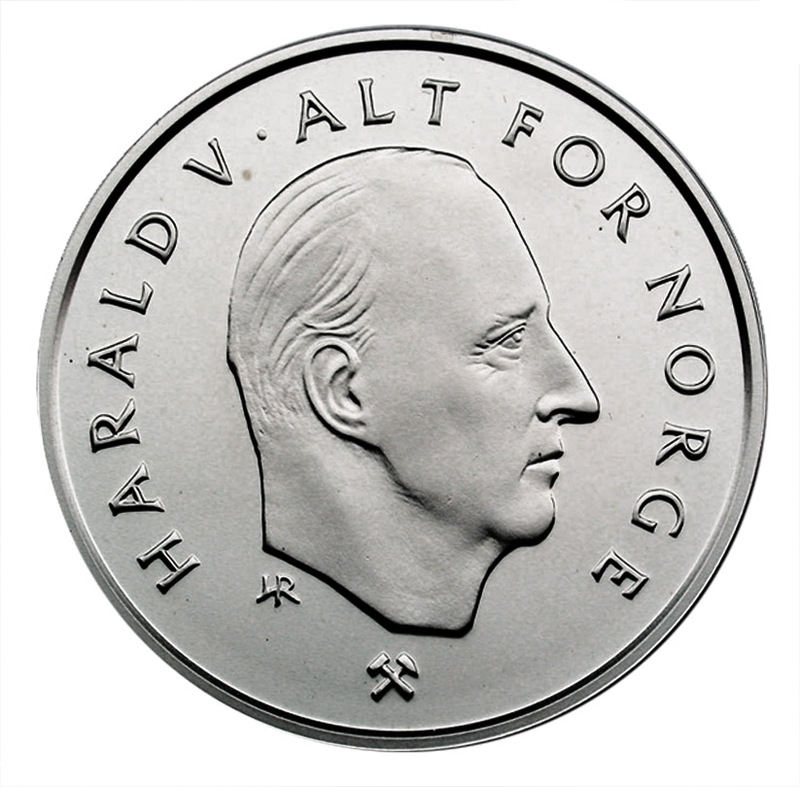 1 kr obverse. 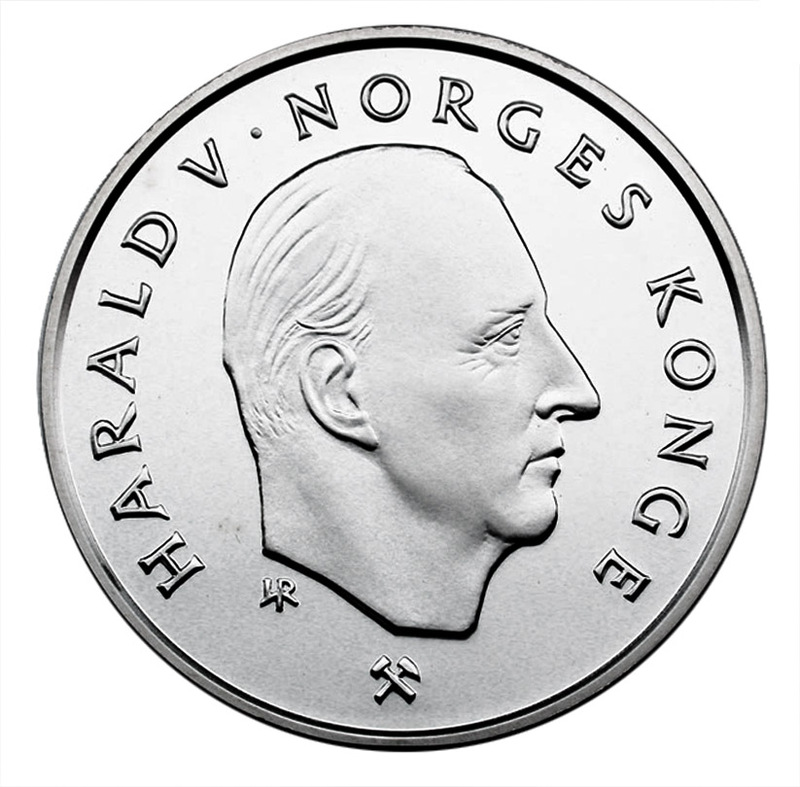 The first portrait of H.M.King Harald V.